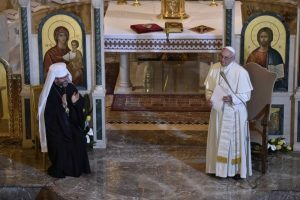 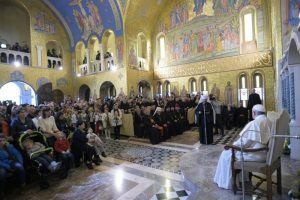 Today, Sunday, 28 January 2018, Pope Francis made a pastoral visit to the Ukrainian Basilica of Holy Wisdom (Hagia Sophia) in Rome, the spiritual home of the Ukrainian Catholic community. 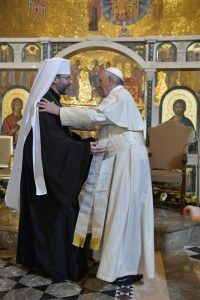 He was the guest of Patriarch Sviatoslav, the head of the Ukrainian Greek Catholic Church. 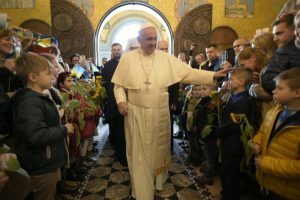 Ines Martin writes about the visit here.